IN CANADA AND AROUND THE WORLD. SUGGESTIONS FOR OTHER SITES WELCOME.UL CONTRIBUTION. New South Wales (Australia) Government Health Care Complaint Commission. Note: Uses its own YouTube channel. Worth emulating by other juristictions. Irish General Election report in Irish Sign Language. This the first time I've seem this service offered. I"m impressed. SIGNMARK. Finnish sign language rapper. Queensland, Australia, floods: Premier Anna Bligh uses sign langage interpreter. YouTube. an online sign language interpreting service, from their own home for free! 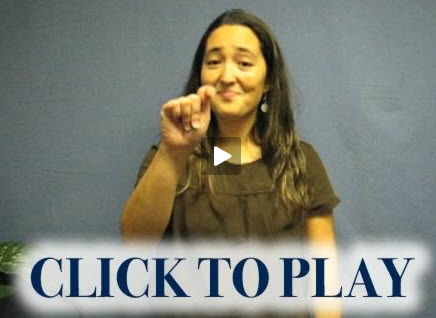 Online video messaging for deaf signers to communicate using the web. community. 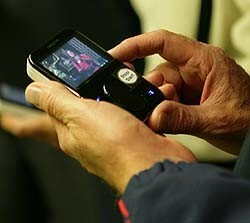 The website allows the deaf community to record and send private messages to each other. British election special by BSL Trust. New Brunswick: Provincial elections: Sign Language questions and answers. Scottish Green Party 2007 election ads on Youtube. (If you know of other, similar sites we will gladly add them to this listing. New Brunswick: election Sign Language questions and answers. Ontario Human Rights Commission "Rights and Responsiblities" in ASL. 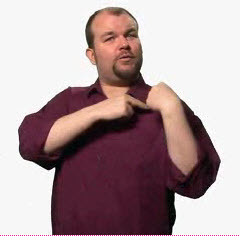 ASL video guide to Ottawa, Ontario public library services. A Canadian first? Ontario Emergency Management "Be Prepared" video. Health Care Options listed by Ontario Ministry of Health Social Services. ASL Version. Provincial government information produced in co-operation with la Fondation des Sourds du Québec. DeafDOC.org ( a US site) offers" free, reliable health information for the Deaf and Hard of Hearing"
Deaf Md. Westminster, Maine, USA. "Bridging Medical and Deaf World" A to Z. National Center for Deaf Health Research, Rochester, NY. Links to many health topics. Good resource. Evacuating the Area of a Hurricane. Center for Disease Control and Prevention, USA. Oklahoma's Assistive Technology Program. Messages about Fire Safety and Prevention for People with Disabilities A 24 minute video presented in American Sign Language and captions. Swine Flue Questions and Answers. ASL files from the National Center for Deaf Health Research, Rochester, NY. Dorset England, National Health Service videos for the Deaf. Sign Language pages to promote business. Screen Learning. BSL l versions of four of our Smart Cat Profiling Games. Hungarian first Deaf member of the European Parliament, addresses Parliament in sign language.